Ismail’s (the founder of the Safavid Dynasty) battle with Uzbek warlord Muhammad Shaybani Khan in 1510, on a folio from the Kebir Musaver Silsilname. After the battle Ismail is said to have gilded the skull of Shaybani Khan for use as a wine goblet. The only Sunni Mosque of Shiraz, founded by Dr. Mozaffarian from Shiraz. He was a Physician who converted to orthodox Islam after having travelled to the southern parts and coastal areas of Iran (which are predominantly Persian and Sunni but unknown to many Iranian Shias, except some holiday destination like Kish etc.) and built the first Sunni Mosque of Shiraz (after the Safavids destroyed every single Sunni Mosque) by converting his house into a Mosque when the authorities refused to give him the permission to buy land and build a Sunni Mosque from scratch for the Sunni community of Shiraz (which is the largest minority of Shiraz, yet to this day they have only a single Mosque). Dr. Mozaffarian was arrested and executed in 1991 on the false charge spying for the United States. 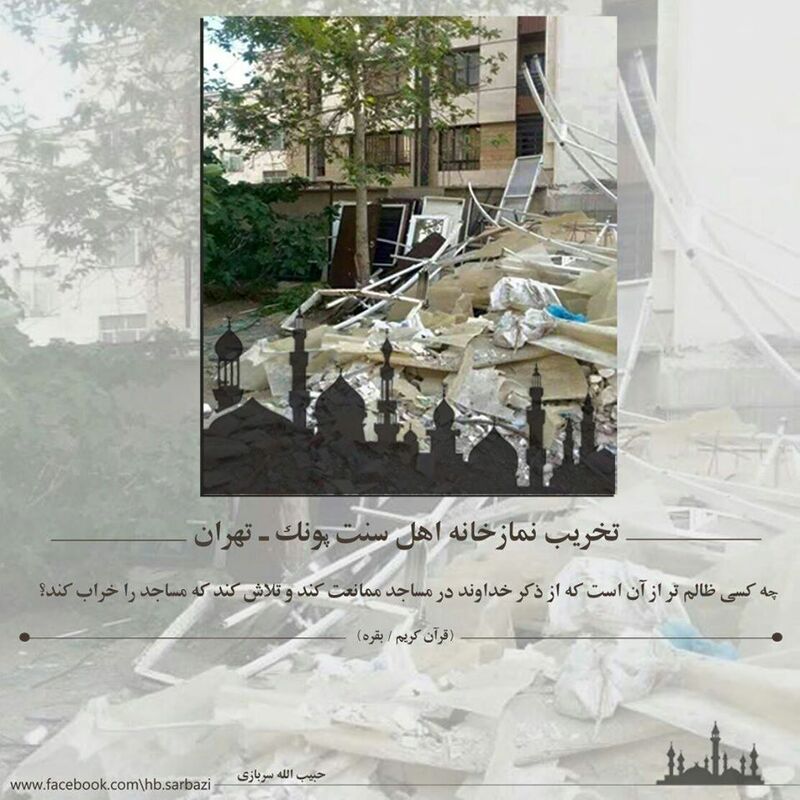 Under immense pressure by the large Sunni population of Shiraz and southern Iran in general, the Mosque has been eventually built, however as a form of humiliation the regime prevented the buidling of minarets and even loudspeakers for the Adhan. Shiraz, like most of modern day Iran was Sunni. As a matter of fact, Shirazi was a renowned stronghold of Sunnism in Islamic history, beacons of knowledge emerged from there such as Imam Abu Ishaq al-Shirazi (known as “The Shaykh of the Shafi’is of his time”!) 476H Scholars from Cairo and Baghdad travelled to the Persian lands of Shiraz to seek knowledge. It eventually became a stronghold of the Shafi’is (still most Persians south of Shiraz, who fled the Safavid onslaught are majority Sunni Shafi’i) right until just 500 years ago i.e. before the onslaught of the Safavids the hit the ethnic Persians of Iran the most (who ironically admire the Turkic Safavids the most, religious Shia and non-religious ones alike). Today Shirazi is one of the few Persian Shia cities with a native Sunni minority, the Safavids either destroyed all Sunnis Mosques or removed any sign of Sunnism (such as calligraphies with the names of the four rightly caliphs) from Shiraz’s landscpape. Many Persian Shirazi Muslims did not submit and refused to accept Shi’ism, they either fled (further to the south, were many Persian Sunnis of Shirazi descendant still live in Iran) or were slaughtered on spot. Since over a decade the number of the Sunnis of Iran are estimated based on out dated figures, most sources (especially Iranian and Shia ones) constantly speak of a Sunni population of 9-10% (in the past the Iranian regime even claimed there were only 4-5% Sunnis in Iran, a claim so ridiculous that even the regime itself stopped repeating it). Iranian Sunni politicians, scholars, websites and organizations complain about the absence of any official records regarding their community and believe their number is much greater (between 20-25%) than what is usually estimated. When the Safavids under Ismail I decided to convert everyone residing in current day Iran from Sunni to Shiite Islam in 1501, they started arranged attacks and massacres against the Sunni Persians who refused to convert. As a result, many Sunni Persians left their hometowns for the Zagros mountains. After the Battle of Chaldiran where the Safavids lost to the Ottoman the Sunni Persians descended from the mountains to begin a new life in the land they named “Bastak”, meaning barrier or backstop signifying barrier from Shiite Safavids’ attacks and influences. Sunni Persians are therefore present in the neighbour areas of Iran such as the Persian Gulf. In fact, people of Sunni Persians origin make up large numbers of the population of Kuwait, the USE and Bahrain (many Bahraini Sunnis are actually of Persian Sunni origin, although many have been Arabised). In the UAE Sunni Persians have ministers like the minister of Education who is originally from Bastak (Persian Sunni city in south Iran) and two other ministers that come from the town of Evaz (people from Evaz are known as ‘Awadhis in the Gulf, like the famous preacher Nabil al-‘Awadhi). They are generally known as very educated and successful (often tradesmen) people, loyal to their respective countries, and staunchly adhering to their Sunni faith. Persian Kharijis once ruled Algeria and other parts of North Africa and defeated (along with the Sunnis) the Rafidis. The Rustamids (767-909) – founded by a Khariji missionary named ʿAbdu r-Rahman ibn Bahram ibn Rustam (Rustam being a pre-Islam Sassanian name which is still very common amongst Shiites in Iran. 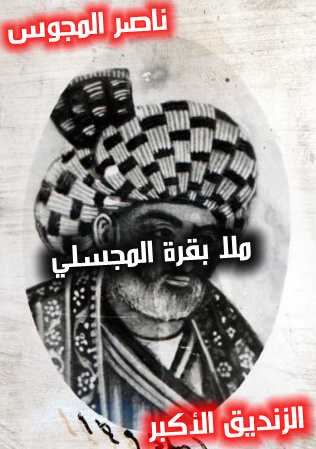 Rustum is the historical general who fought at the Battle of al-Qādisiyyah for the Sasanian Empire, and ultimately lost and saw Persia being conquered by Islam) were a dynasty of Ibadi Khawarij Imams of Persian descent that ruled mostly in the central Maghreb for a century and a half from their capital Tiaret (in modern Algeria) until the Ismaili Fatimid Caliphate destroyed it. Their realm extended mostly to current central Algeria, but also Libya, Morocco and Mauritania. Despite their (light) Khariji theology, they were just rulers and allied with Sunnis in fighting against the Rafidi Fatimids. 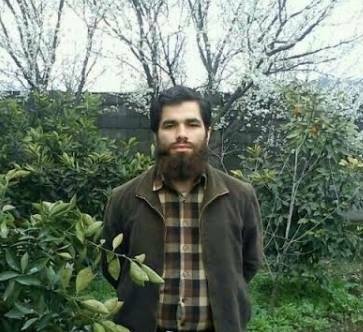 Abdulsamad Rahmani, an ethnic Khorasani (Persians from the Iranian Khorasan province which has a large Persian Sunni population) from Birjand city and a student of the largest Sunni institute of Iran in, Daar al-Uloom Makki, in Zahedan, Sistan-Balochestan province was arrested and taken to an unknown place just before he was to continue his studies in Zahedan. Intelligence services refused to tell his family about his whereabouts. Our Prophet (peace be upon him) the Prophet of all Arabs and all Ajam (non-Arabs) promised us that Persia will be conquered *and* that that the arrogant Persian Zoroastrian empire will never rise again. Some good news, two days ago ago a very high ranking Iranian Revolutionary Guard (General Hamid Taqawi) aka Safavid terrorist has been killed in Samarra’ (Sunni city) of Iraq. Look at this shaitanic face (and look how the Shia are already kissing his coffin, what will they do once they build an golden shrine for him … only Allah knows), how many innocent Sunnis of Syria and Iraq he killed, only Allah know … may Allah burn him in Hell with Khomeini. Do you see these little innocent gorgeous children? The following Shaykh is from Gilan where the famous Abdul-Qadir Al-Jilani (i.e. Gilani) is from. 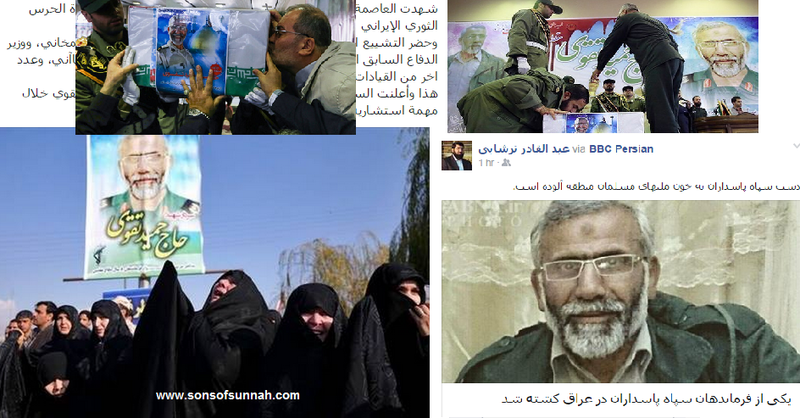 May Allah hasten his release from the hands of the oppressive Safavids. He was arrested in Iran and taken to an unknown location more than 3 months ago is being held in solitary confinement in Tehran’s Evin prison. Shaykh Hafiz Towhid Qureshi, was arrested by security forces in August 2014 and taken to an unknown location.It has now emerged that he is being held in solitary confinement in Evin prison in Tehran, and despite three months of detention, has only been allowed minimal contact with his family to confirm his whereabouts and health. The official reason for his arrest and detention are still unknown.Shaykh Hafiz Towhid Qureshi, the Imam of the ‘Imam Shafi’i Masjid’ in Sholoqun village, Gilan province, was active in preaching Sunni beliefs within the Shia-dominated Iran. Their holiest places are accursed spots of polytheism, prostitution and Anti-Arab sentiments. By Allah Imam Al-Ridha and the Ahl Al-Bayt in general are innocent of this Neo-Zoroastrian-Sassanian religion and their heretics of a clergy. Even in an objective piece in a western newspaper, they can’t help but mention how much Arab hatred is rooted in Shia culture even in one of the most religious Iranian Shiite city (with a always completely ignored native Persian Sunni population of 10-15%) where the 8th (Arab) descendant of the Prophet (peace be upon him) is buried. We highly recommend the following documentary, especially now since we are in the month of Muharram where Muslims worship Allah (God) alone and fast and Rafidah Shias wail (like Jews) and flagellate and harm themselves with all kind of tools. 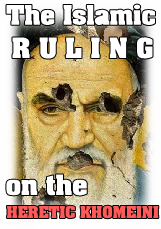 The documentary gives you – especially as non-Iranians – an unique insight into the pagan Shia Muharram/Ashura rituals that are literally staged by the Iranian regime and the so called ‘Ayatollahs’ who exploit the name of our master Al-Hussein Ibn Ali (ra) to poison their gullible masses (the opium carl marx and his likes percieved as religion) with hatred, grudge, superstition and all sorts of Anti-Islamic practices. These criminal Rafidis have literally revived all pagan practices that the Prophet (saws) came to exterminate, they have poisoned a whole people with the lie of ‘loving and following the Prophet’s progeny’ just as the Church did with Jesus (as) and their so called saints. Singing and playing music during Ashura. They “mourn” by shedding (crocodile) tears, they eat, play drum, enjoy, then they start beating themselves, decorate their self-flagellation temples and now they sing and play an opra for Sayyidunah Al-Hussein (رضوان الله علیه), all of that in the name of Islam and the progeny of the final Messenger of Allah (صل الله علیه و سلم). This is their “Islamic” Republic. Happy ‘Id to all Muslims in particular our loyal supporters of our blog and Facebook page. Picture is from the Sunni city of Taybad – stronghold of ethnic Persian Sunnis – in the khorassan province of Iran. The Persian lands of khorassan in particular the part which lies in current day Iran, cities such as Nishabur used to be the fortresses of Islam. Beacons of knowledge emerged from these lands. Persian khorassan in its Sunni era used to surpass Baghdad and all other major Muslim cities when it came to scholarship and Islamic and scientific learning institutes. Numerous scholars of the Salaf and Khalaf, Al-Hakim Al-Nishaburi, Imam Al-Ghazali and many more. Post-Safavid Iran produced the likes of Ayatullat Vahid Khorassani who can’t even recite the first verse of the Fatiha with correct Tajweed. Nevertheless, Sunnis are still presence in the khorassan province of Iran, even Mashhad city has a sunnibpopulation of 10-15%, and some towns south of Mashhad are even completely Sunni. The Majority of Sunnis of khorassan are ethnic Persian khorassanis and hanafis with a minority of Iranian Baloch and mainly Tajik (Persian) Sunnis from Afghanistan. To this day greater khorassan (which includes Afghanistan, Uzbekistans etc.) is inhabited by mostly Persian Speaking Sunnis. Iran Appoints First Sunni Ambassador. It took over 36 years for the Iranian regime (who always blabber about Shia-Sunni unity, in a country where Sunnis are a very large minority) to appoint its first ever Sunni ambassador, although in some random non-Muslim country, namely Vietnam and Cambodia (less than 300.000 Muslims live in both countries!). Now some ignorants might claim that at least Sunnis in Iran are better treated than Shias in Sunni (or Sunni run) countries. This is incorrect and widely propagated by Shiites and Iranian regime supporters. A Persian companion narrated the most authentic form of Takbirat! The following is an Arabic fatwa by Shaikh Abdel-Aziz At-Tarifi (Saudi). He mentions one of the Sunan (pl. 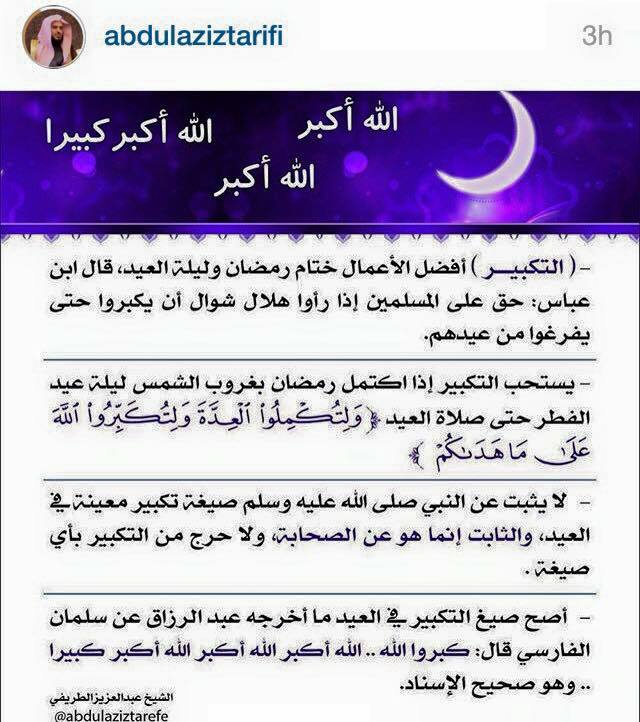 of Sunnah) of ‘Eid, which is the takbirat. He says no authentic Sigha (form) has been directly transmitted from the Prophet (peace be upon him), rather from the Sahabah. The ONE Sahabi who narrates the most authentic narration (amongst all) is Salman the Persian (Al-Farsi), in the Musannaf of Abdel-Razzaq. A Persian narrated the most authentically known form of the takbirat which is recited from Morocco to Indonesia, by all Arabs and ‘Ajam (Non-‘Arabs) alike. This is Islam, no racism and no nationalism.